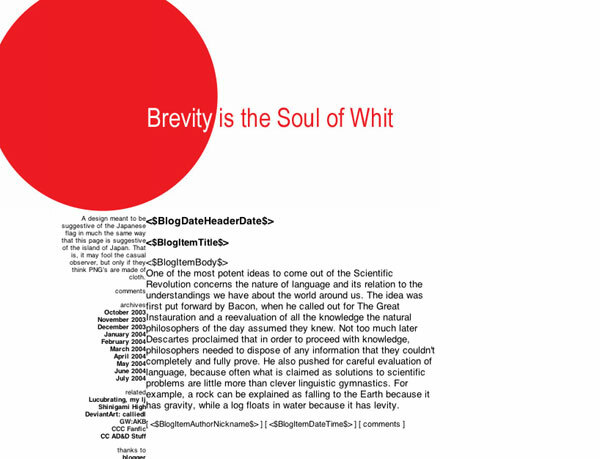 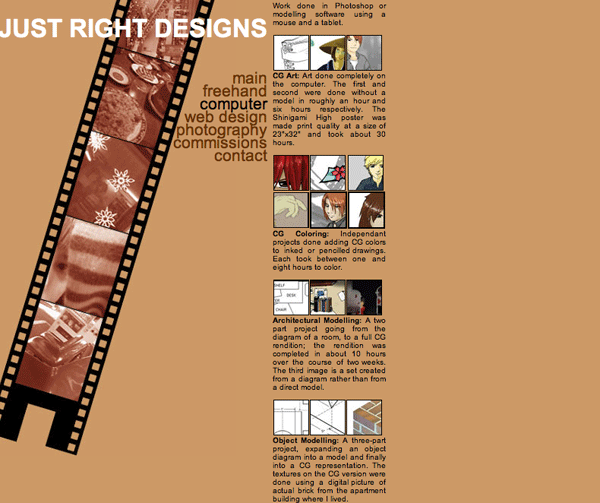 Websites are a delightful mixture of content and design coming together into something more. 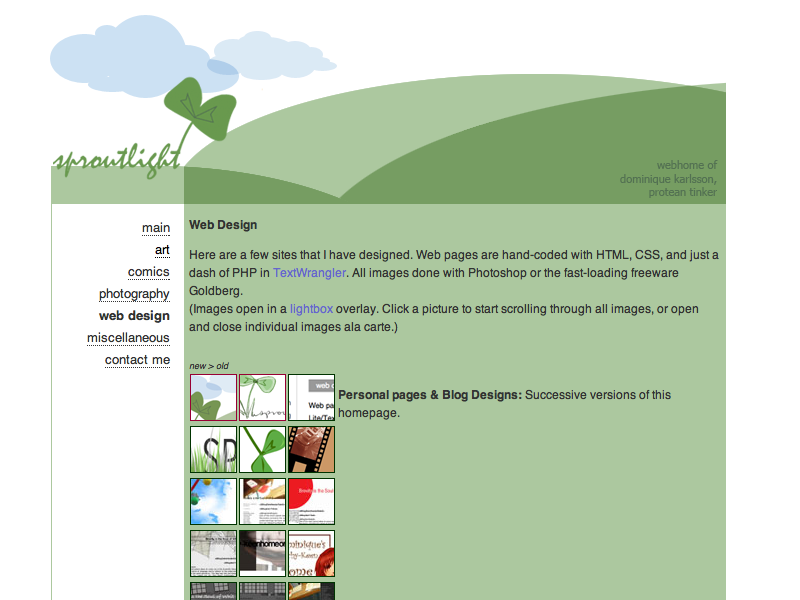 My tools of choice are TextWrangler, Cyberduck, Photoshop, Lightbox2, WordPress, HTML, CSS, and light sprinklings of PHP. 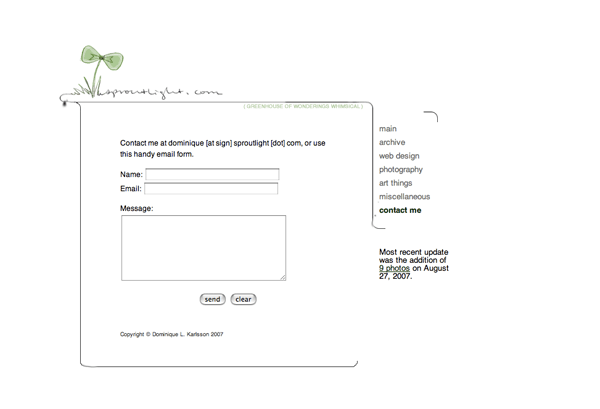 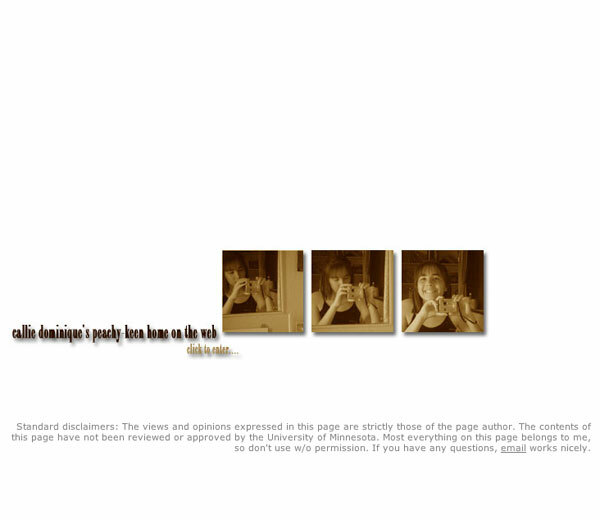 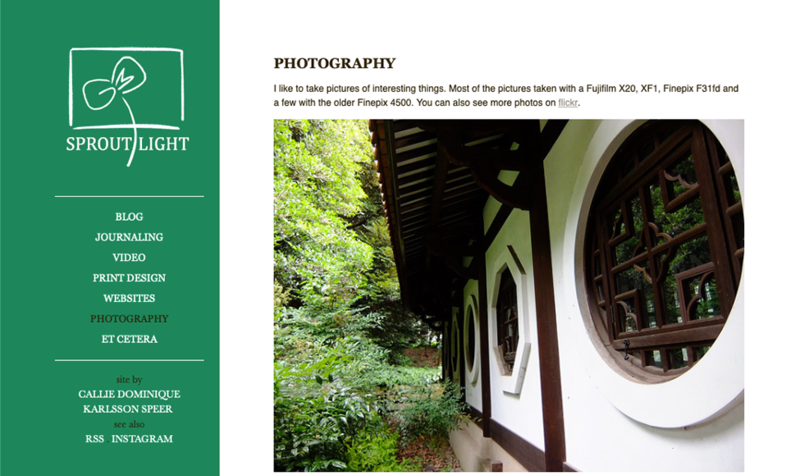 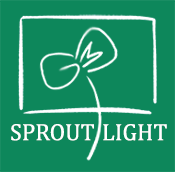 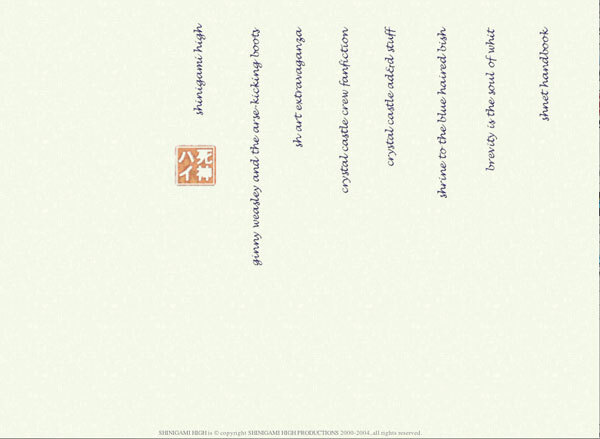 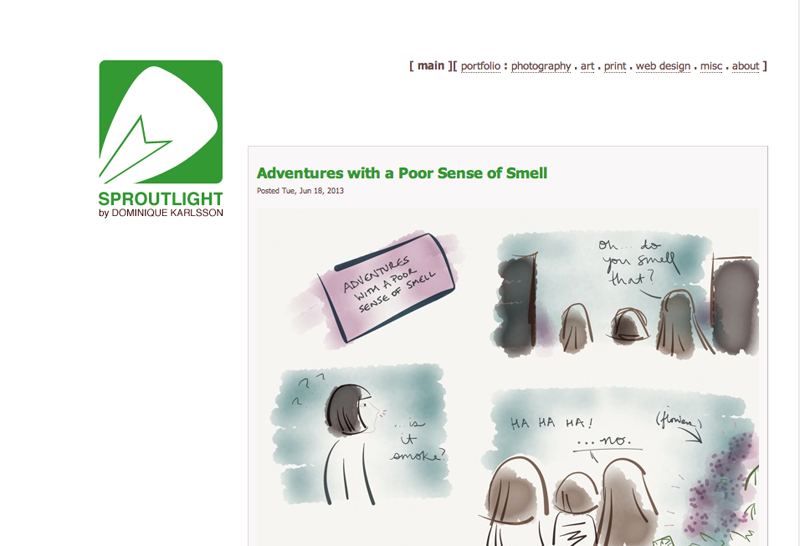 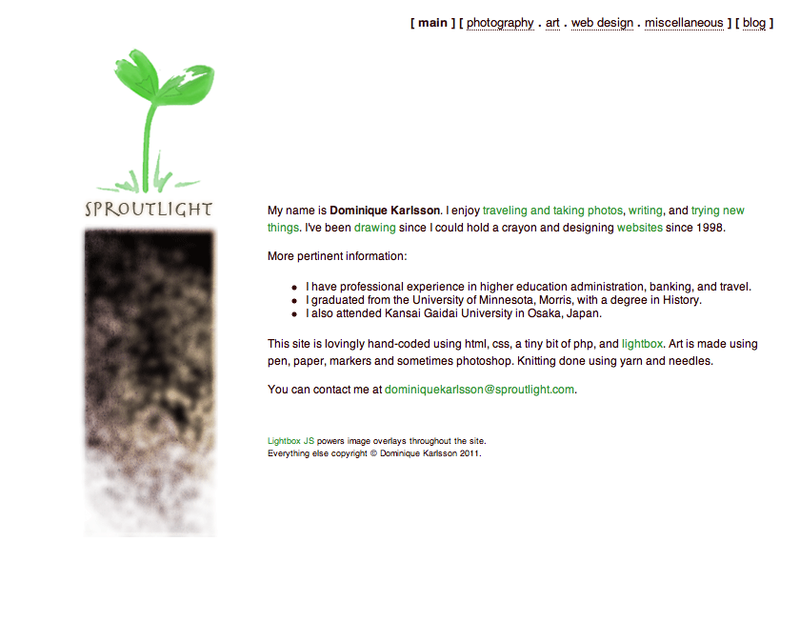 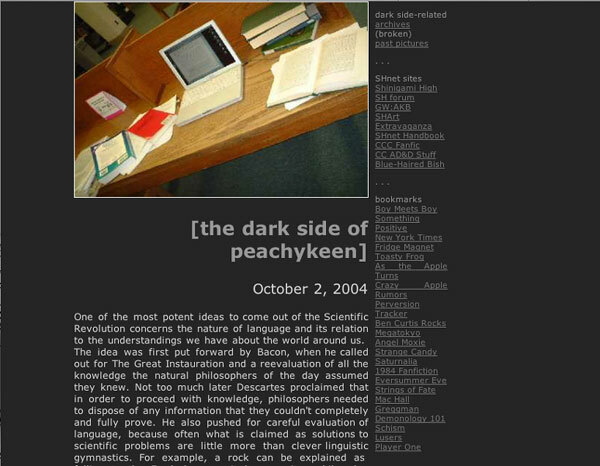 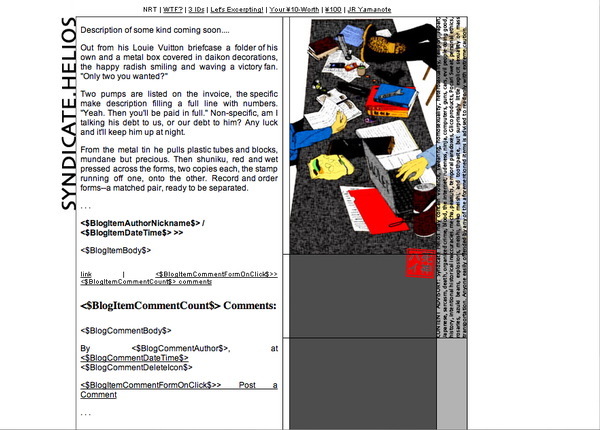 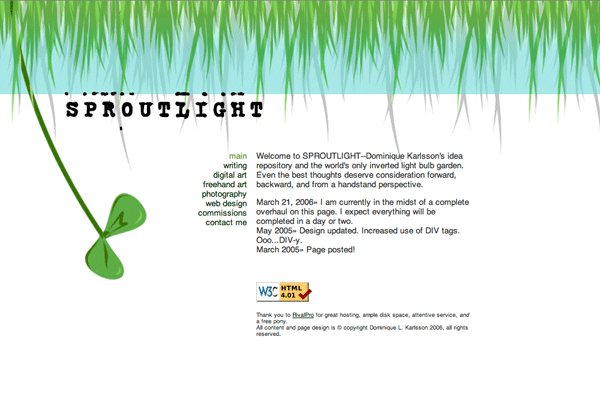 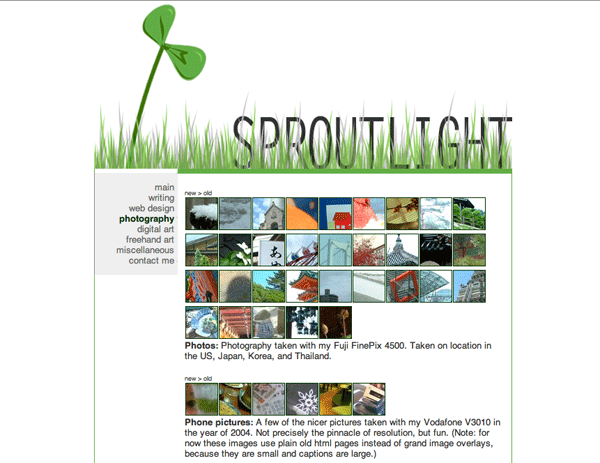 Sproutlight: Successive versions of this homepage, started in 2000. 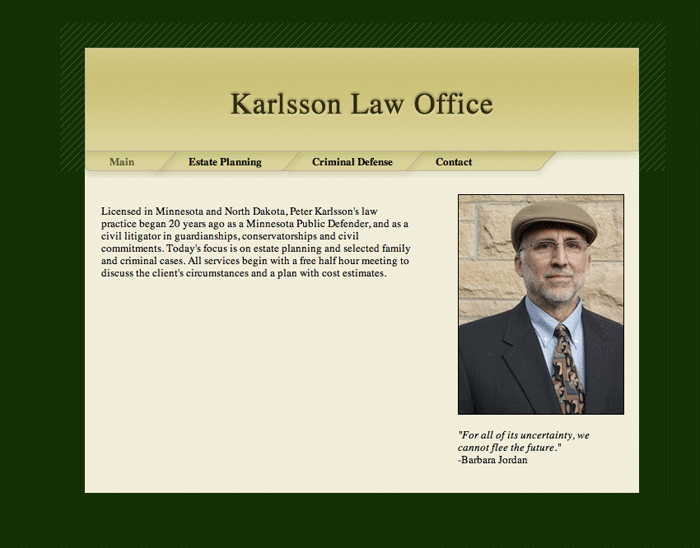 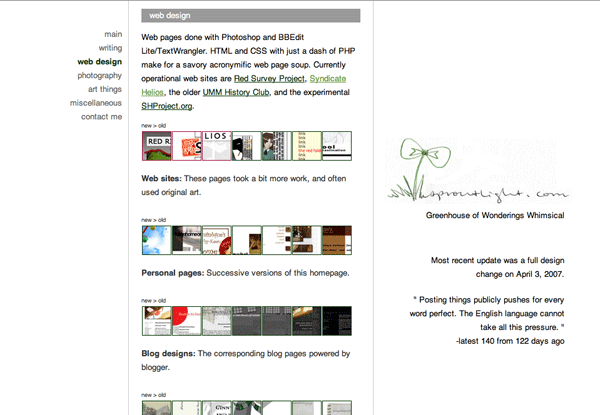 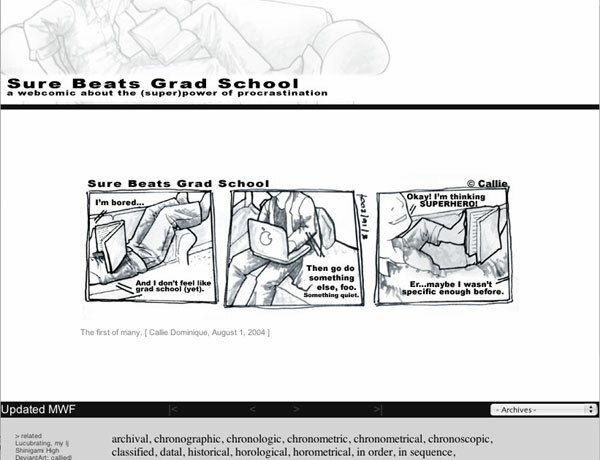 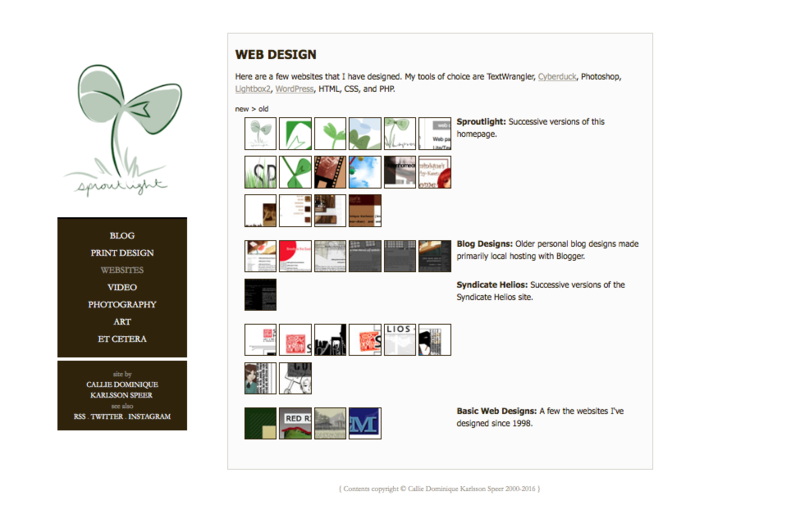 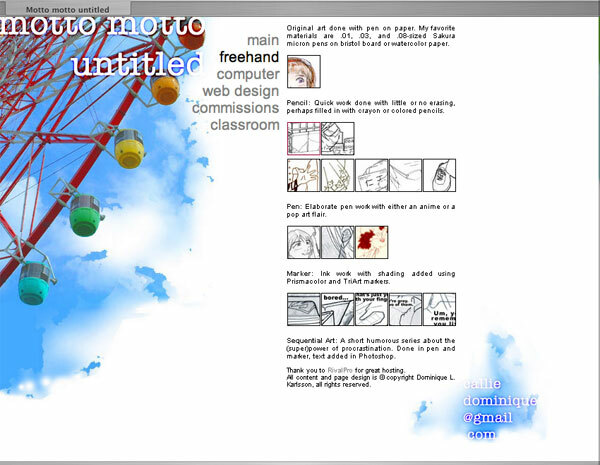 Websites for Others: I started designing websites in 1998. 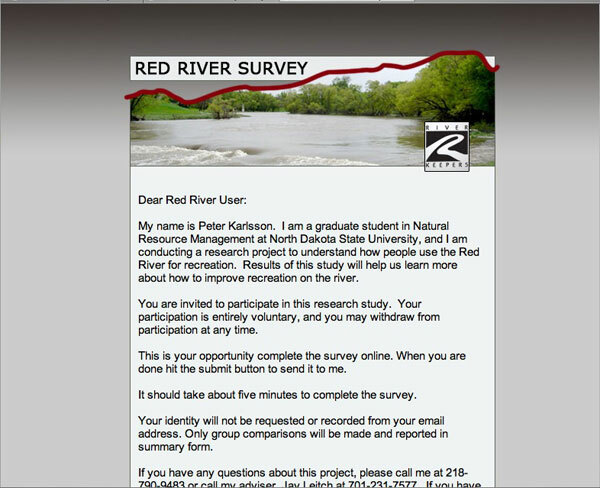 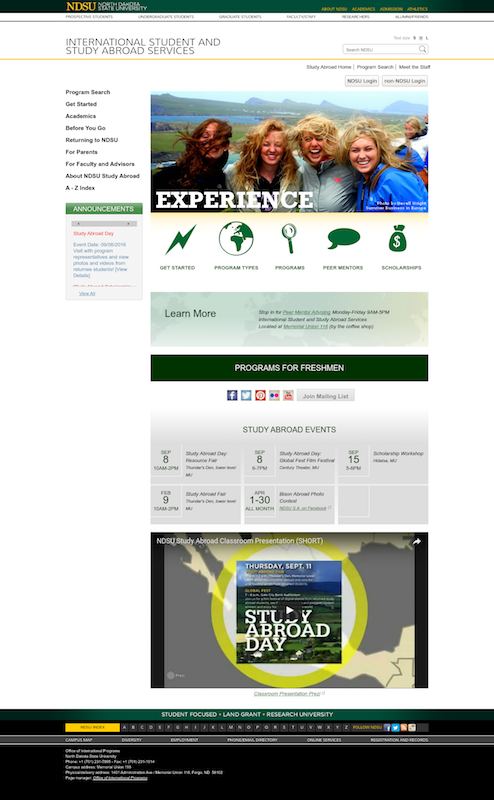 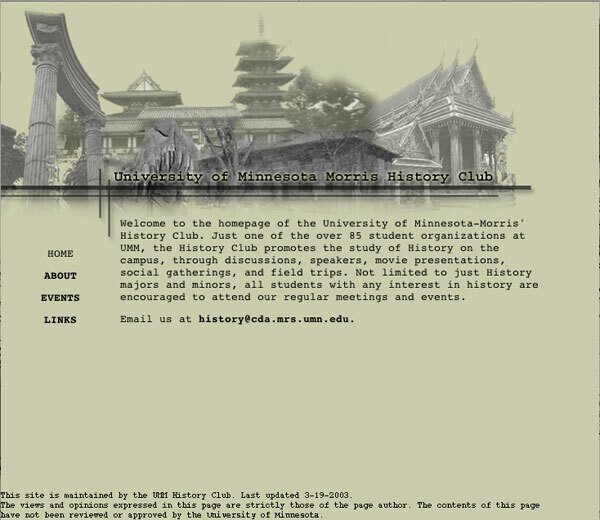 I currently design/maintain the site for NDSU Study Abroad (1000+ pages). 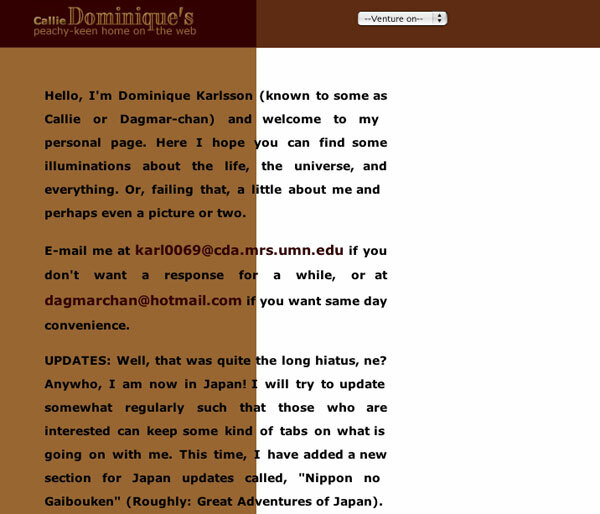 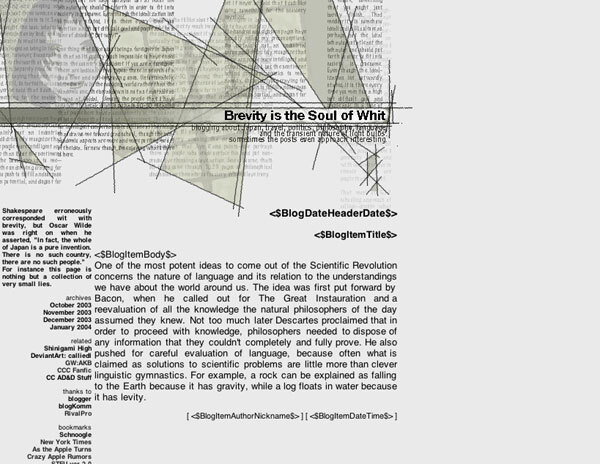 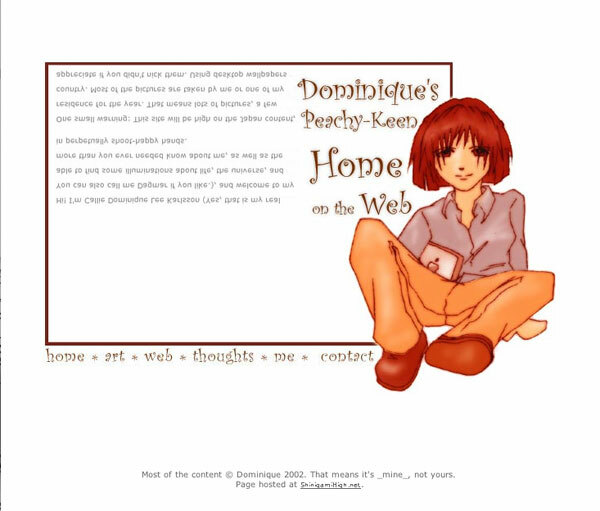 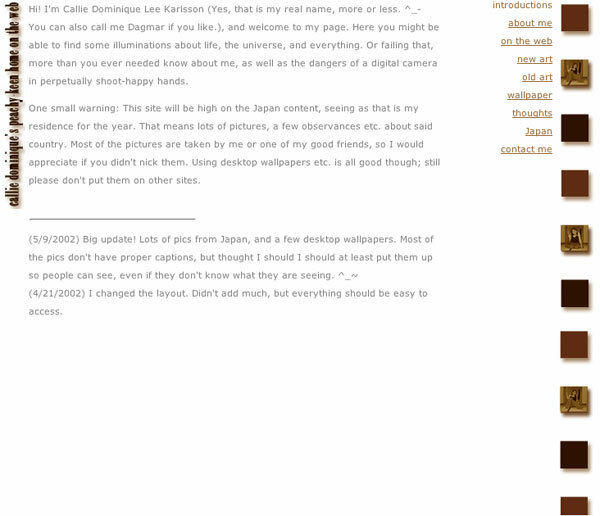 Blog Designs: Older personal blog designs made primarily for hosting with Blogger. 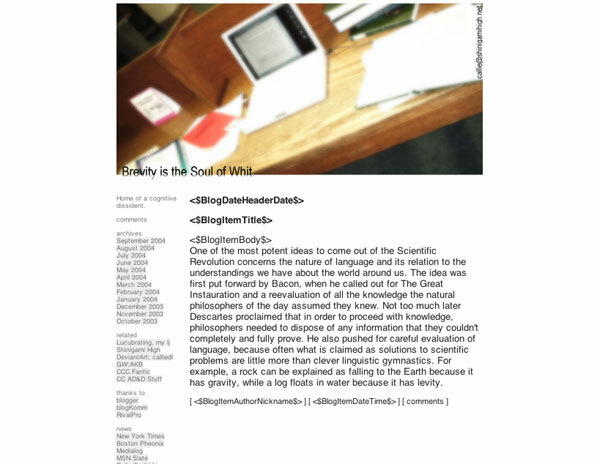 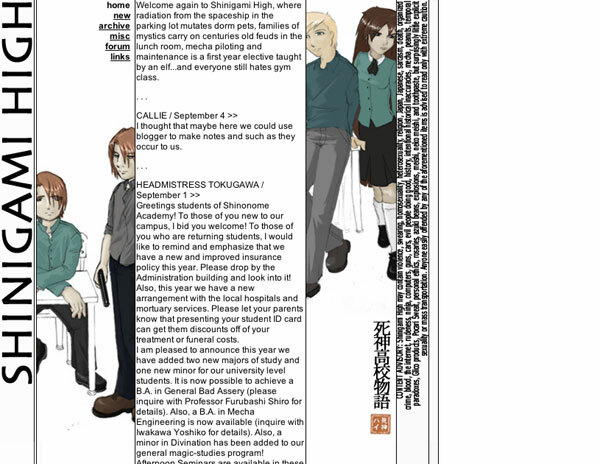 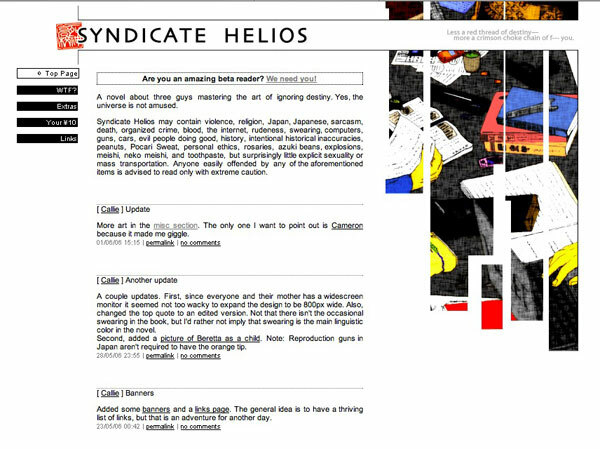 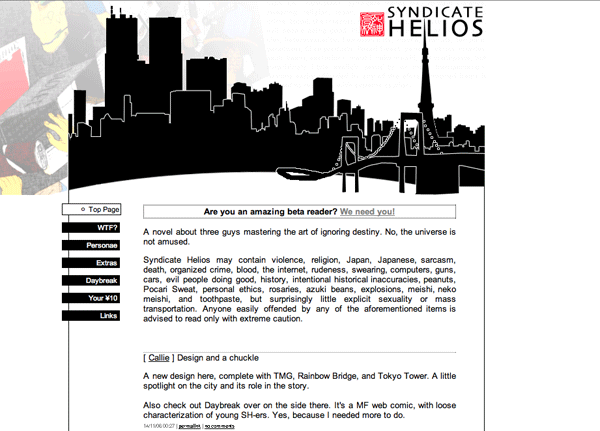 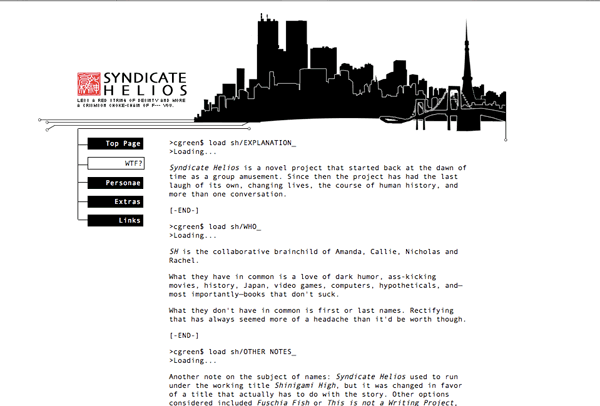 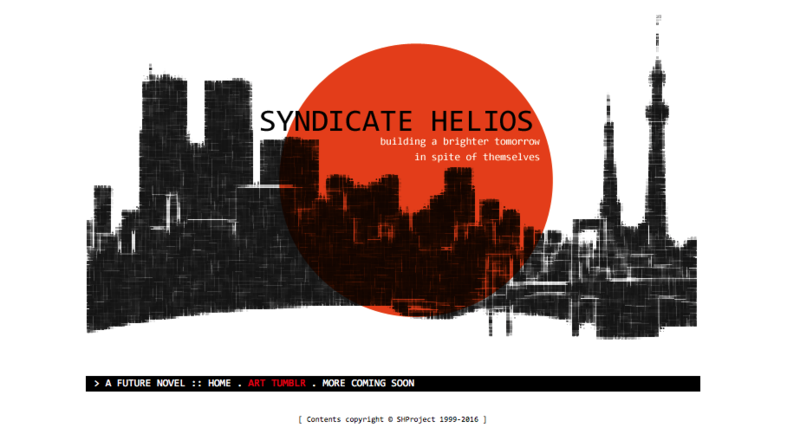 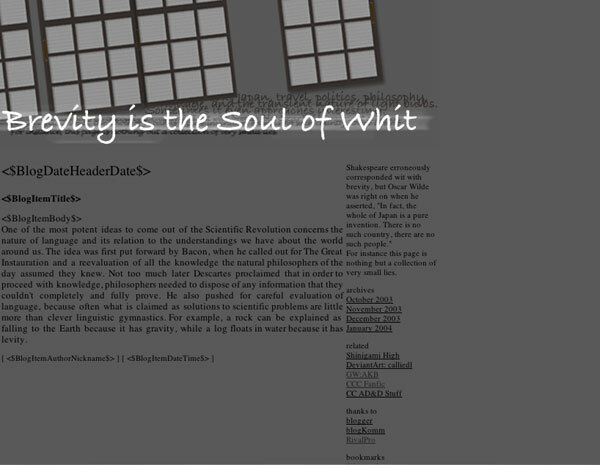 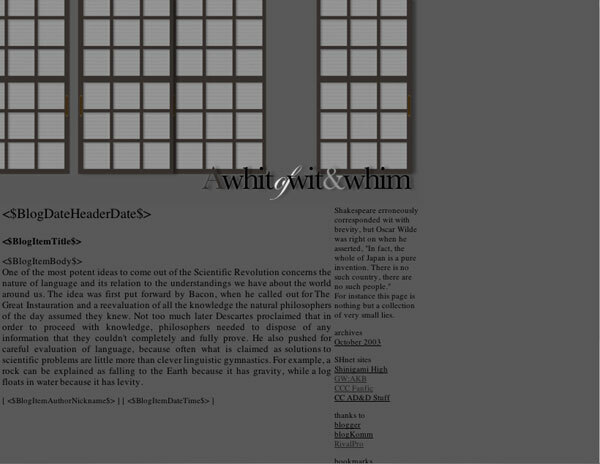 Syndicate Helios: Successive versions of the Syndicate Helios site.